This is one of those books that when you finish it, you automatically want to find any excuse to reread it as soon as possible. My Lady Jane is an absolute ray of sunshine, and I adored every second of it. The characters are absolutely charming, and the story itself reminds me a lot of The Princess Bride (the movie, since I haven't read the book), which makes sense since that's what it's compared to in the synopsis. While listening to this audiobook, I was laughing constantly and smiling to the point where my cheeks began to hurt. 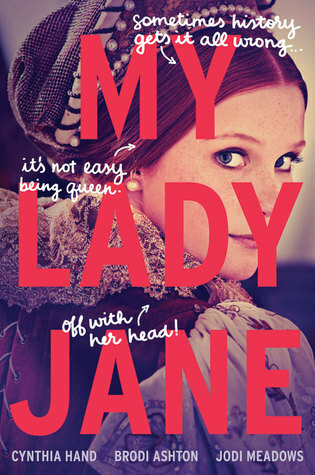 This was also my first time reading listening to a book written by three different authors so I initially wasn't sure what to expect but in the end, My Lady Jane ended up being utterly wonderful and perfect. Oh, how badly I wish this book was a trilogy! Though we are getting more books by these amazing ladies (and I'm highly anticipating all of them, especially My Plain Jane), I'm going to miss these characters so much. I loved all of them. Do you know how rare this is? The last time I loved all of the main characters of a book was the Six of Crows duology. Normally while reading, I focus on two characters (in most cases, this ends up being the main ship) or three characters. The rest of the characters are usually just filler for me while waiting for my favorites to appear again, but not in this book! So guys, if you were an idiot like me and have been putting off reading this side-splitting book for whatever reason, stop it now and go read it! I especially recommend listening to the audiobook, because it's now one of my all-time favorites. It's no wonder that Katherine Kellgren has won so many awards. Her British accent in this is perfect, and the way she narrates this story is absolutely hysterical. While I'm sure I would have laughed a lot if I had just been reading the finished copy, Katherine Kellgren had me bursting out in hysterical laughter the entire time (which was fun while I was at work or on the train, let me tell you . . . xD). You better believe I'm going to be listening to every audiobook of hers that I can get my hands on. 1) My Lady Jane has the best dedication—ever. 2) The writing is pure genius. It perfectly illustrates everything that's happening, it brings the characters to life, and most importantly, it will undoubtedly make you very happy while reading. The combination and chemistry of the writing of the three authors is magical, and I can't wait to read all of their future works! 3) Outstanding banter always needs its own positive point on this blog because it's usually what seals my love for a book, and the dialogue in My Lady Jane is GOLD. Every line is a memorable quote or a perfect comeback—simply wonderful. 4) I love each and every character—with the exception of the bad guys, which is normal, right? The two main ships are hilarious and sweet. There is a small bromance between Edward and Gifford, which is I think is absolutely adorable. Gracie and Jane have this great banter between them. They don't have a lot in common, but they team up when it counts, which is great. I even love the side characters—especially Pet and Mary! Overall, the characters in this book are a real treat. 5) I really love the idea behind this book. The authors didn't like what really happened to Lady Jane Grey, so they decided to change it, and I think that's really beautiful. In general, I love the way real history was wrapped up in this magical story. It was the perfect balance of history and fantasy, and like all great historical fiction novels, it made me interested in the actual history behind the story. We have no more books with these specific characters. "No horse jokes," he said. "My lord, I apologize for the horse joke. If you put down the book--unharmed!--I will give you a carrot." "Was that a horse joke? This one took me completely by surprise! I thought I was going to hate it, but absolutely loved it! I almost wish I had listened to the audiobook for this one. I liked it but not as much as everyone else seemed to. Audio might have helped. Although I do hear you on wanting this to be a trilogy. I kind of wish there was a sequel with Mary Queen of Scots. She was my favorite character and I would love to see more with her. Great review! I bought this book on a whim and still haven't picked it up... but you may have convinced me to make it my next read! 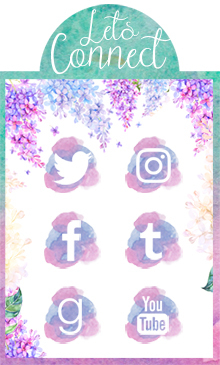 I love that you loved this one! 1) The dedication - LOL. 2) When you wrote the authors as Lady Janies - perfecttt. 3) Woot for awesome audio narrators! I'm not an audiobook fan but they make everything all the better. I adored all the characters as well. It was just so FUNNY and ROMANTIC and all the giggles. Wonderful review! I have wanted to read this since before it came out! I finally got a copy of it, but haven't had a chance to pick it up. I have got to hurry up and get to it! Oh my gosh the horse jokes totally cracked me up! I loved this so much, glad you did too! Definitely excited for more from these ladies!! Great review!